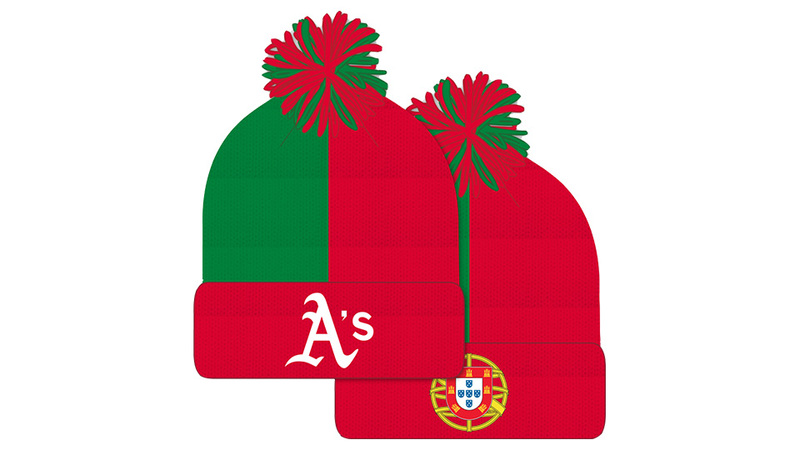 Join the A’s for their third annual Portuguese Heritage Night on September 26. All participants that purchase a SPECIAL TICKET for this event will receive an exclusive A’s Portuguese Heritage Beanie, admittance into the pregame party in the Eastside Club, as well as a prego sandwich and non-alcoholic beverage. As an added bonus, September 26 is also a FREE PARKING Tuesday. Special group tickets are now available at $35 each in the Lower Box near third base for the 7pm game. Tickets are being sold on behalf of the Portuguese Historical Museum. Please contact Mary Alsheikh at corvo50@aol.com to purchase your ticket.